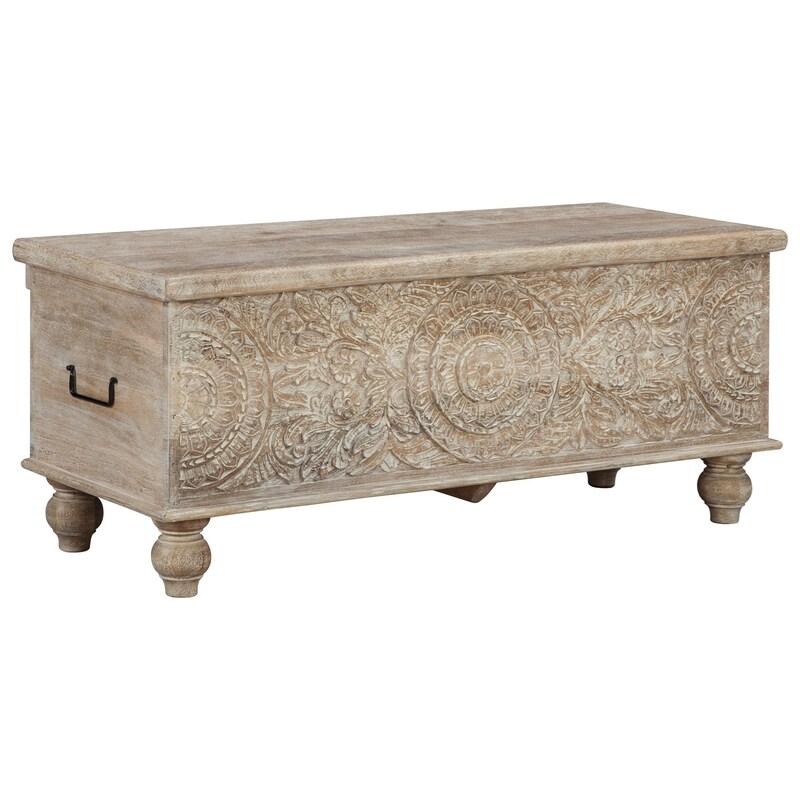 This eye-catching wood bench, with its ornamental medallion carvings and antique finish, will instantly become a staple piece in your home. In addition to the intricate detailing of this bench, there is more than enough storage space for those pesky items that always seem to cluster in your entryways. The Fossil Ridge Solid Wood Accent Storage Bench by Signature Design by Ashley at Household Furniture in the El Paso & Horizon City, TX area. Product availability may vary. Contact us for the most current availability on this product. Storage Opening: 40.50" x 14.38" x 12.00"